In celebration of Black History Month, the UNB Art Centre is pleased to welcome Sylvia D. Hamilton to Memorial Hall for a poetry reading on Thursday, Feb. 5 at 7 p.m. She is an award-winning filmmaker and acclaimed poet. Dr. Hamilton’s films have been screened on CBC, TVO, the Knowledge Channel, and on university campuses across the country. 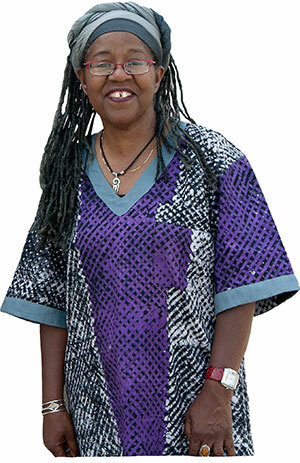 She has been honoured with many awards for her work, including a Gemini award, the CBC Television Pioneer Award, and Nova Scotia’s Portia White Prize for Excellence. Her collection of poetry, And I Alone Escaped to Tell You, was published by Gaspereau Press in 2014. Much of Dr. Hamilton’s work exposes the systemic racism that Black Canadians have experienced across the country. Her collection of poems, And I Alone Escaped to Tell You, deals with the settlement of African peoples in Nova Scotia, and discusses the complex layers of the lives of early Black Nova Scotians and the generations that followed. In addition to the reading, there will be a talk, and a lunchtime film series that will run from Monday, Feb. 2 to Friday, Feb. 6, screening Dr. Hamilton’s films as well as others related to the Black History of Canada. All films will be screened at Memorial Hall, starting at 12 p.m.
On Monday, Feb. 2, the UNB Art Centre will be screening Black Mother, Black Daughter (Dir: Sylvia Hamilton & Claire Prieto | National Film Board of Canada | Canada | 29 minutes). This film explores the lives of Black women in Nova Scotia, and the heritage they pass on to their daughters. On Tuesday, Feb. 3, the film will be Remember Africville (Dir: Shelagh Mackenzie | National Film Board of Canada | Canada | 35 minutes), a short film about Africville that was uprooted in the 1960s. Through archival photographs and films, Remember Africville tells the story of the relocation. On Wednesday, Feb. 4, join us for Journey to Justice (Dir: Roger McTair | National Film Board of Canada | Canada | 47 minutes), a documentary film profiling 6 Canadians who were instrumental in the legal battle for civil rights in Canada. On Thursday, Feb. 5, the film will be Sylvia Hamilton’s film Little Black Schoolhouse (Dir: Sylvia Hamilton | Maroon Films | Canada | 60 minutes), which exposes the segregation of schools in Nova Scotia and Ontario. The policies of segregation officially ended in the provinces in 1954 and 1964, respectively, but remained in operation as late as 1983, when the last segregated school closed in Nova Scotia. Dr. Hamilton will be present at the film, and participate in a question and answer session following the screening. On Friday, Feb. 6, the final film in the series, Speak it! From the Heart of Black Nova Scotia (Dir: Sylvia Hamilton | National Film Board of Canada | Canada | 28 minutes), is also one of Sylvia Hamilton’s films. This piece looks at Black Nova Scotians at a predominately white high school in Halifax, the racism they experienced there, and the educational and cultural programs they develop to build self-esteem and cultural awareness. On Friday, Feb. 6, 12:30-1:50 p.m., Sylvia Hamilton will be giving a talk titled “Education: A Passport for the Future” at Marshall d’Avray Hall room 356. The UNB Art Centre is located at Memorial Hall, 9 Bailey Drive, University of New Brunswick, Fredericton. The galleries are open 9:00 AM – 4:00 PM weekdays and for special events. Admission is free to members of the public. Everyone welcome!